Our team made some steady progress on this super classy buggy this week and it is going to really start to come together before you know it. Have a look at this weeks progress, the custom burgundy upholstery is going to set this cart NXT-R4 off! While the fab team was working on the roof system, our finally assembly department got to work on the chassis. Everything got buttoned up and ready for the body to come out of paint! With the rear panels dry it was time to install this custom charcoal paint job! The stock seats were removed as they will be replaced with our custom SC Carts contour seats! Our paint department assembled the front cowl and it was installed next. 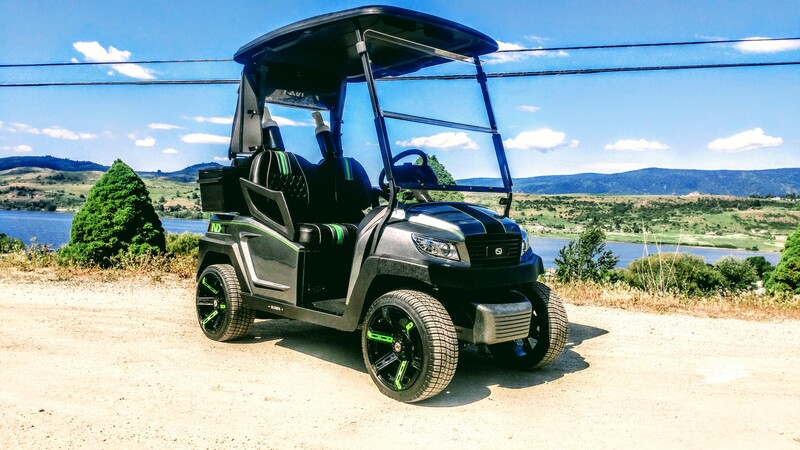 Next week we will be installing the custom color matched 14″ rims that will take this cart to the next level of classy! Also some upholstery may make an appearance as well! See part 1 right here!